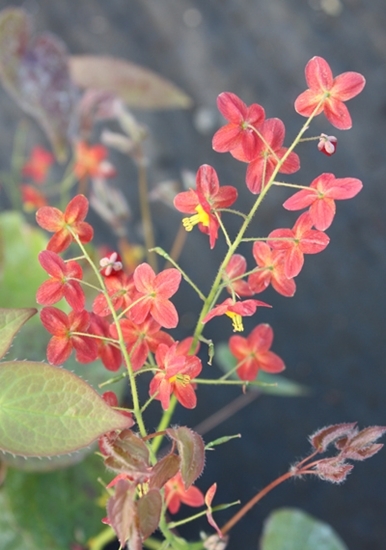 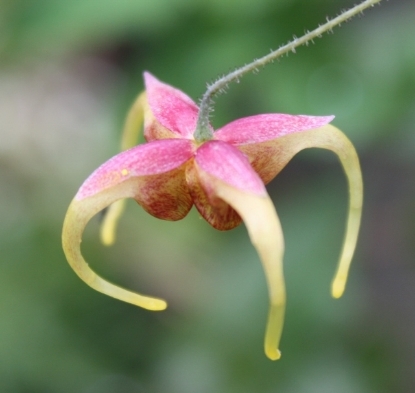 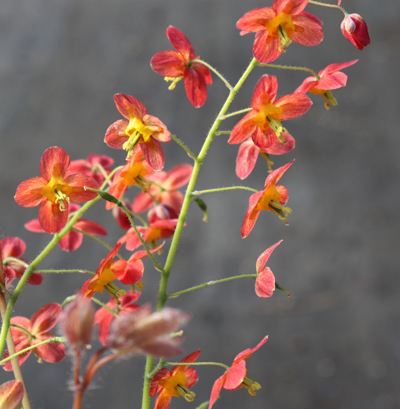 Medium-sized flowers with broad orange sepals; a rare color among Epimediums. 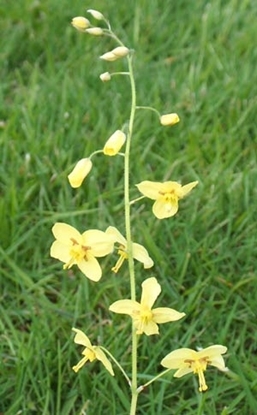 Cup and short spurs are yellow. 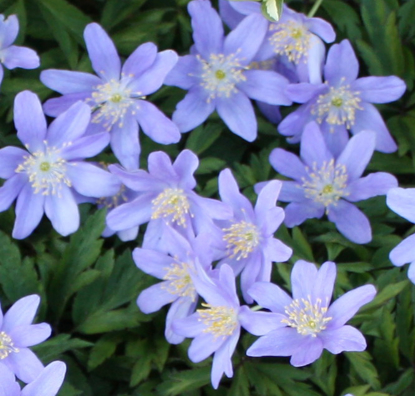 The evergreen foliage is purple tinted in spring and again in fall. 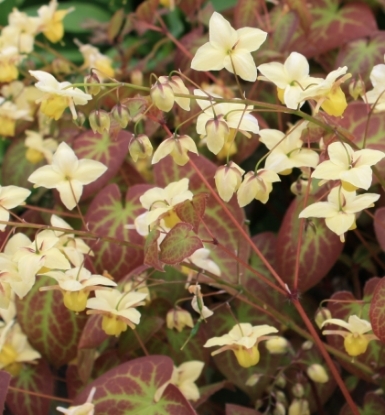 Moderately spreading, about 6" a year and has a good drought tolerance - one of the best ground cover varieties.